My sister helped me with the perfume aspect of this book. She is HUGE into perfumes. This picture is her on her wedding day (just this September) with my daughters who were her bridesmaids. 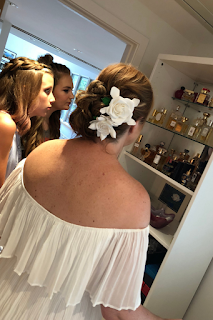 This is just a tiny portion of her perfume collection, and she had us each pick one out to wear on that day. Her love for perfumes helped inspire this thread in my story. She brought over several small testers, and I fell in love with both the Guerlain and another called Illuminum. You’ll see them both in the story! The Guerlain was too expensive to purchase, but my best friend gave me a bottle of the Illuminum back on my 40th birthday! 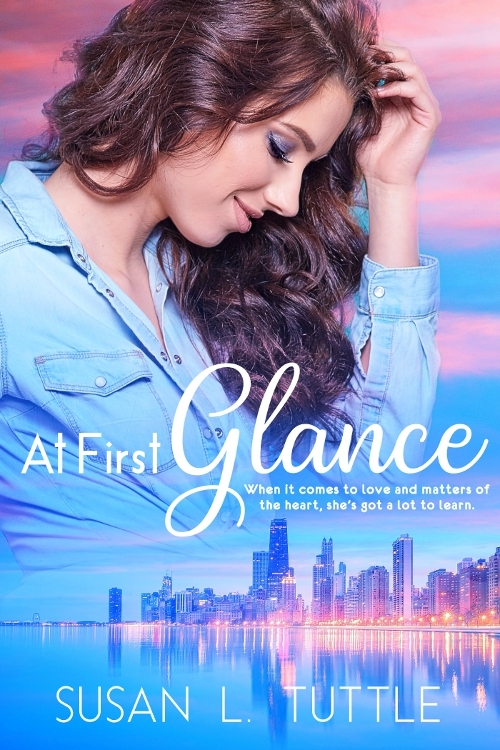 This story centers heavily around Penny and her only sister Belle who is getting married. What’s funny is when I wrote this, my sister hadn’t even met her now husband, but as the release date approached we were planning MY sister’s wedding! It was funny to see how life imitated this story I had written years agoJ The difference is that my sister is older. 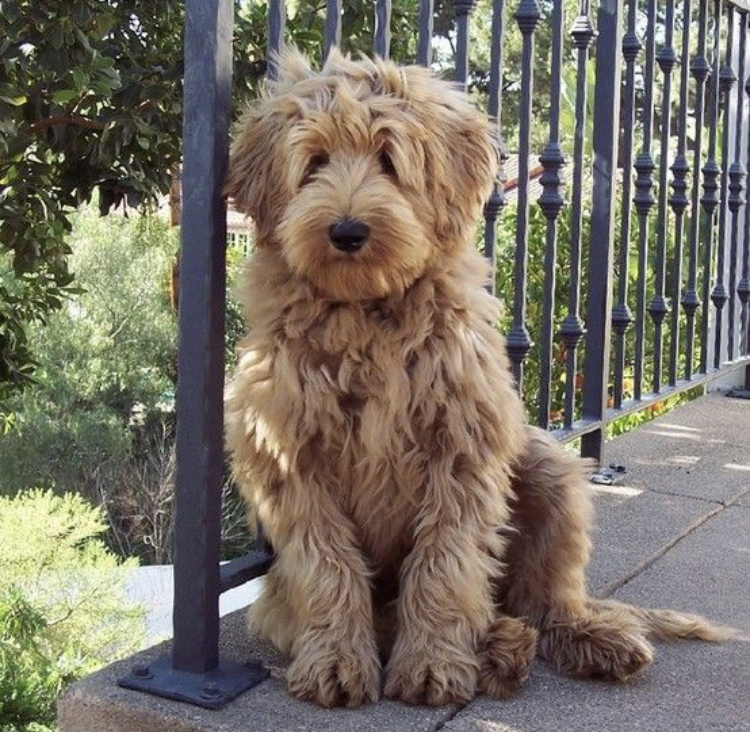 A similarity is that she does call me Princess … though we get along MUCH better than Penny and Belle! 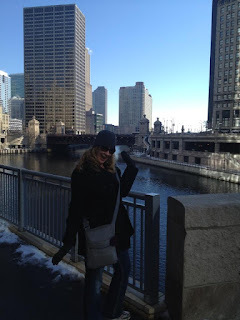 This is a pic of my BFF during a trip we took to Chicago to check out the places I’d used in the setting. One scene takes place in a restaurant called Roof. Unfortunately it was closed when we visited. Lucky for me, my BFF is much bolder than I! She sweet-talked one of the employees into giving us a tour of it anyway. Holland, Michigan is really close to where I live, and while I made up the dress shop and the dance studio, CityVu is a hotel and restaurant my hubby and I love to go to! Penny being six feet tall is because I am also six feet tall. It took me a long time to love my height and writing that part of her seemed to come naturally. The Adele concert came about because of the song “Make You Feel My Love”. It’s one I’ve always loved, and it played one night while I was writing. That scene unfolded in my mind as I listened, and I knew I had to add it into the story. I originally wrote some of the lyrics into the scene, but that’s a big no-no for copyright reasons, so I had to pull them. The scene at the amusement park takes place at Six Flags Great America in Chicago and was all because Hubby and I love amusement parks and roller coasters. And that last ride of the scene? That was a little poke at my hubby. While I had to cut the scene short for word count, I still wanted to add in them starting the ride. Hubby and I went on a similar one when we were first married, and once we were lifted to the top, he froze! I had to pull the cord that released us into the freefall, and I haven’t let him forget it! Enter via the Rafflecopter giveaway below. Giveaway will begin at midnight November 5, 2018 and last through 11:59pm November 12, 2018. US only. Winners will be notified within a week of close of the giveaway and given 48 hours to respond or a new winner will be chosen. Giveaway is subject to the policies found here. Those facts are interesting, and the perfume aspect woke my interest (I'm not even into perfumes). I enjoy reading the backstory of a book. Thank you for sharing. I hope you enjoy this book, Jodi. Thanks for visiting my blog for this tour.